Hello All! Secretary Kelly here with another quilting book review! This time it's a beautiful take on the Drunkard's Path block by Cut to Pieces blogger Angela Pingel. There are 15 projects in the book, all based on this block, and it is so cool how such different projects emerge from the same block. 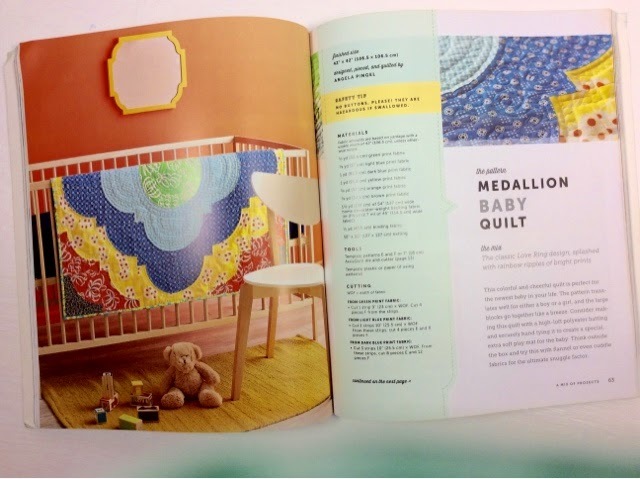 My favorite is the medallion baby quilt in the photo below. 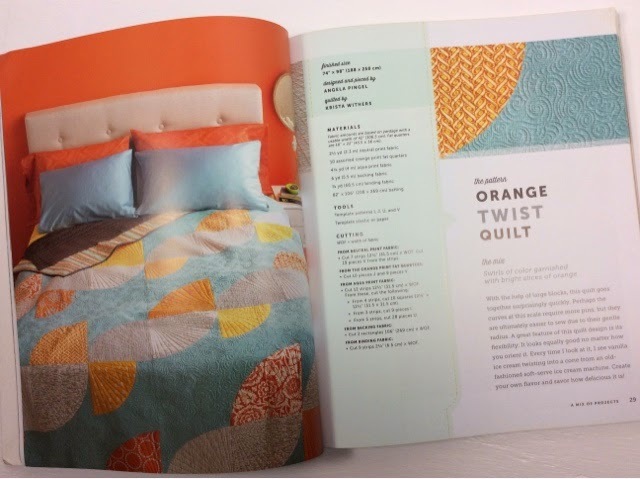 It might be the color combination or the radiating medallion design, but I really want to make this quilt! 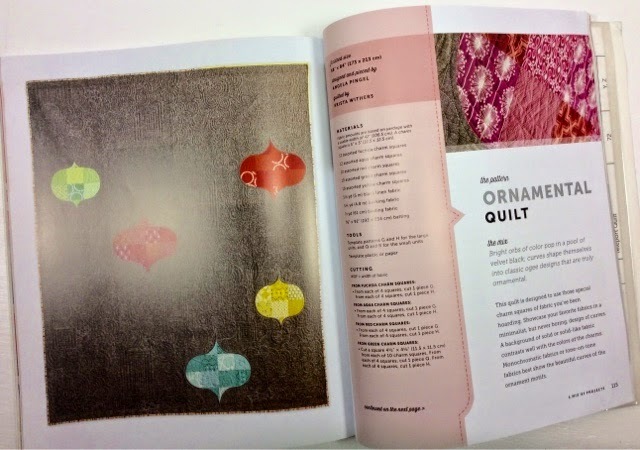 The book starts with a how-to section, which is helpful for those who have never cut out or sewn a curved block. I know they can be scary at first, but with a little practice and patience (and a seam ripper!) they are fun and make amazing quilts! 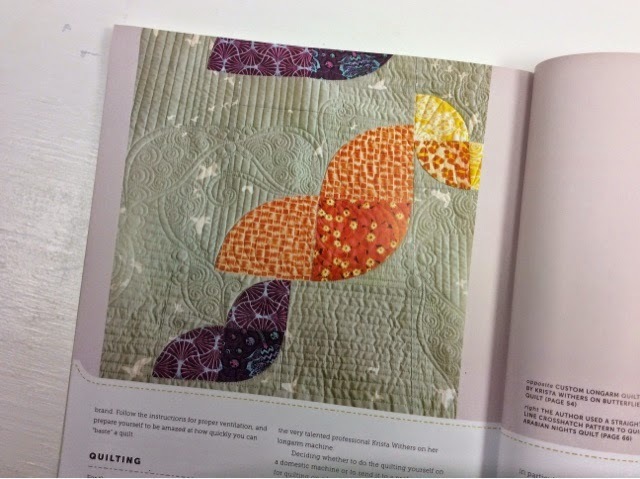 Not only are the quilts beautiful in all their curvy glory the quilting is pretty darn inspired too. The quilt below and several others were quilted by Krista Withers. Patterns for making curved templates are included, as well as lots of detailed instructions and helpful hints. I really enjoy Angela's eye for color—each quilt has a unique look even though they all employ the same block! A big thanks to F&W Media for sending us a copy to review! One lucky PMQG member will win this book at our November meeting!